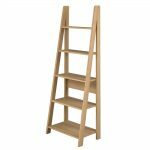 If you are a big fan of the books and unusual furniture – a ladder bookcase is a smart decision for you. 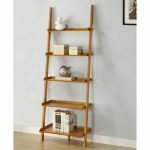 Such an item is good for small rooms, which you cannot overload with the massive furnishing. It is also chosen to make the interior airier. 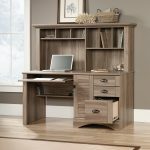 It has no doors and sides, and it saves space, contributing to the functionality of the space. 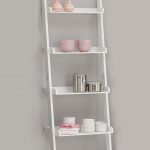 Ladder bookcases are universal – they easily fit different interiors. You can place them in the living room near the fireplace or in the office. 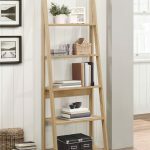 They differ from ordinary bookcases, and therefore can be used not only to store books – your favorite souvenirs and photos will also look good on it. 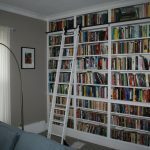 If you don’t want to have a standard bookcase – ladder one is the option you should take into consideration. 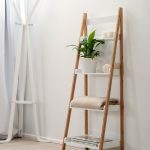 Moreover, you can choose a straight or a corner one, depending on the place you would like to put it. 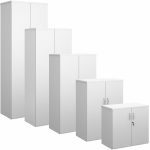 A straight one can be also placed in the corner – some models should lean on the wall, but some are freestanding. 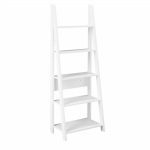 Buying this item pay attention if it is readymade or you should assemble it on your own. 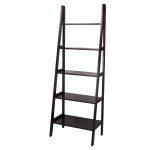 As a rule, these bookcases are easy in assembling. All the models are more or less similar. 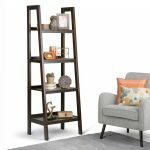 They have 4-5 shelves. Lower ones are wider. They usually are about 13 inches (30 centimeters) high. All the construction is about 72 inches (180 cm) high. 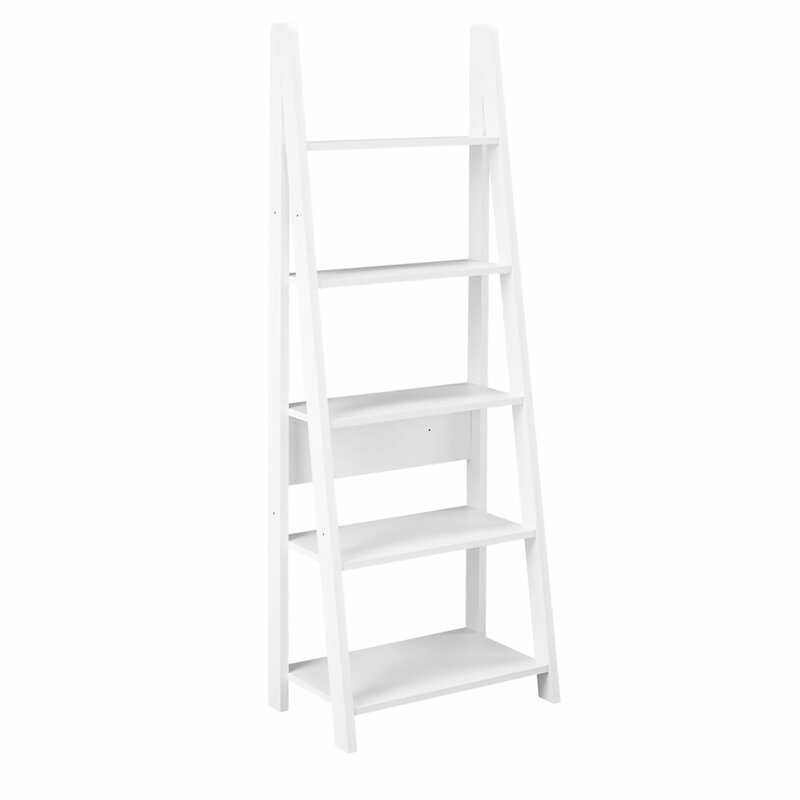 A ladder bookcase is airy, but steady item, which can carry all your books. 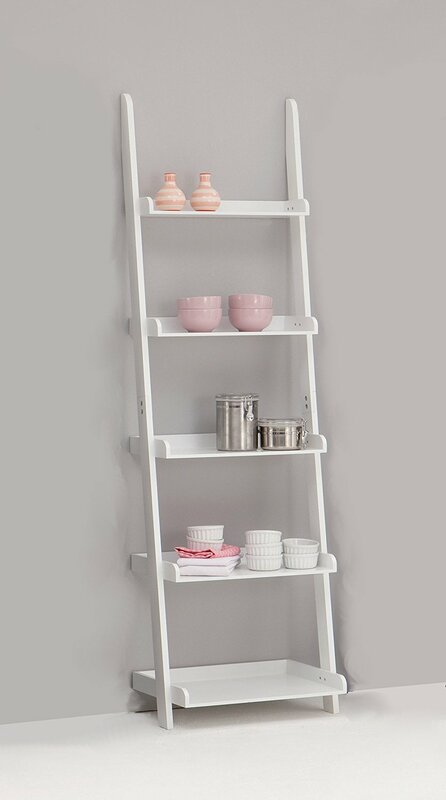 Thanks to the construction, the weight is distributed among its parts to support your things. Its practicality goes together with the style. 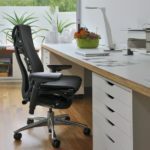 Place it in the student’s dormitory or in the professor’s office – it will still look good. The piece is looking extraordinary itself, but you can easily add to the design, decorating it. 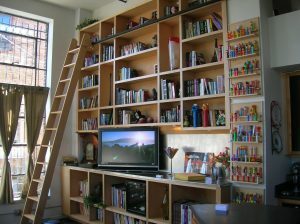 The bookcase gives a space not only for your belongings, but also for the creativity. Don’t hesitate, choose the right case for favorite books!